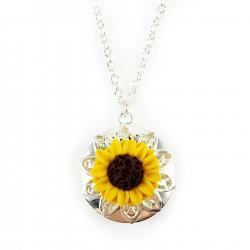 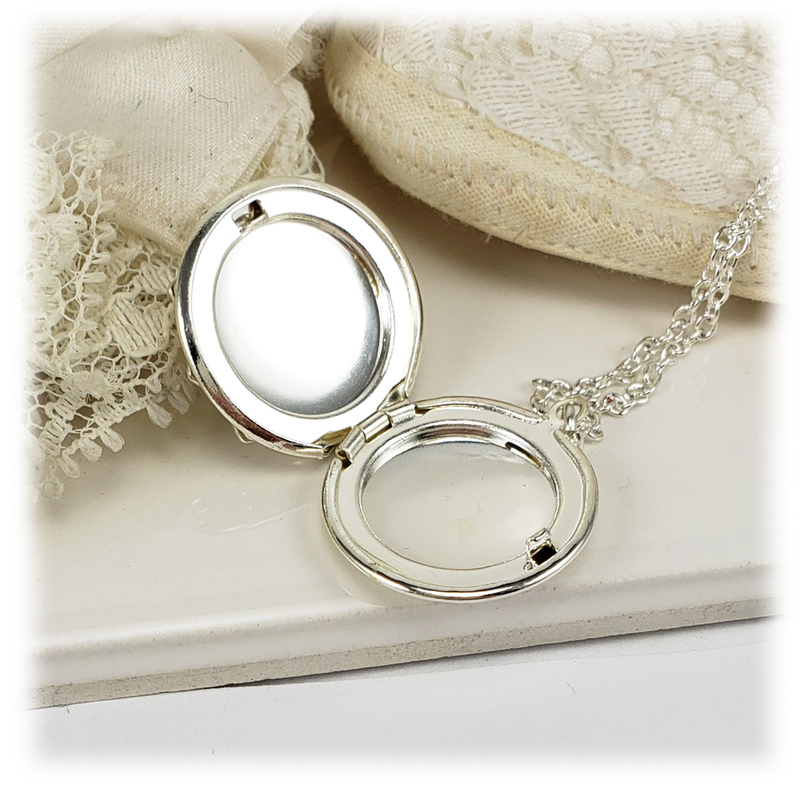 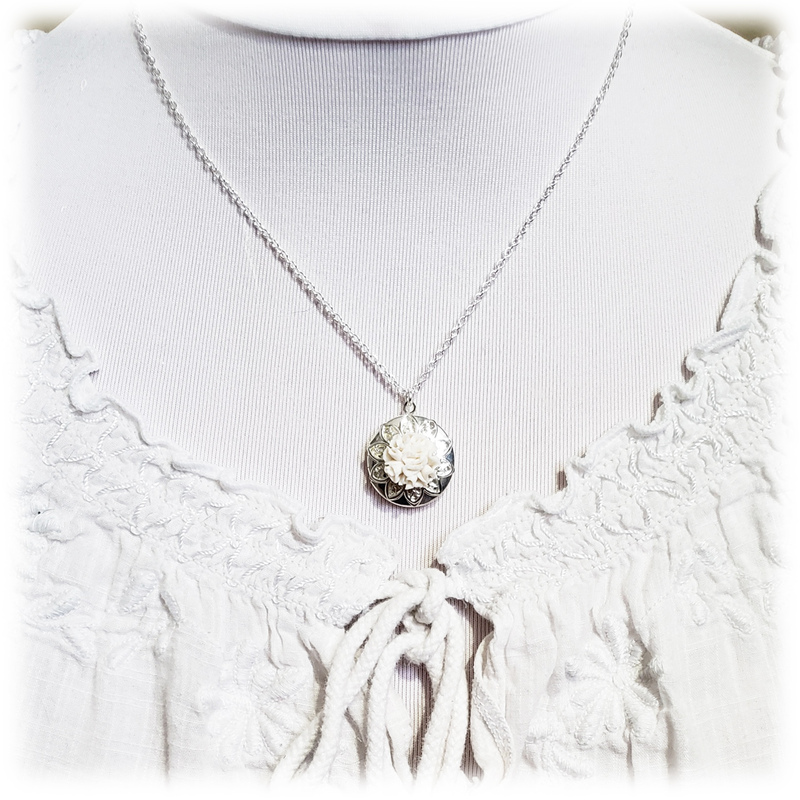 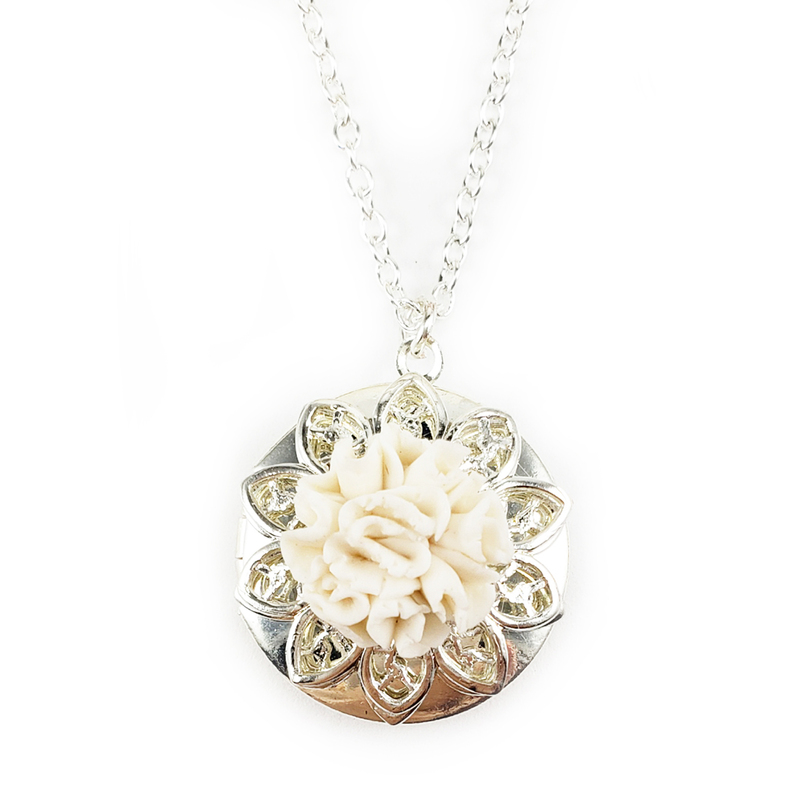 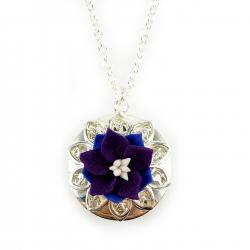 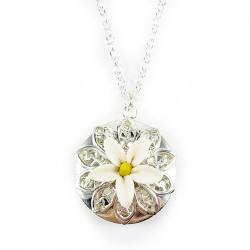 This Carnation locket is first created with a handcrafted flower. 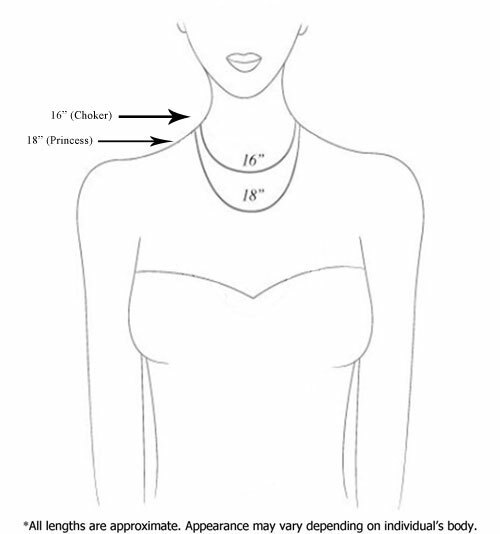 The back features a silver tone filigree and drops from a cable chain in assorted length. 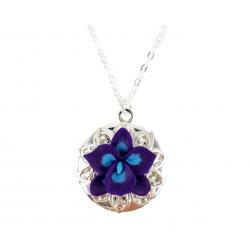 The Carnation is available in many colors to choose from.